When speaking of his father, it is evident that Bob Sneller possesses an unwavering respect for those who have served on the fringe of war, sacrificing of themselves in support those involved in direct combat roles. This reverence stems from World War II when the B-17 Bomber that Sneller’s father was serving aboard crashed at Douglas Air Force Base (AFB), sparing only his father and another crewmember. Sneller would himself experience similar sacrifice after graduating from Jefferson City (Mo.) High School in 1967. With the reality of the draft and the inspiration of his father’s service, Sneller chose to enlist in the Air Force. 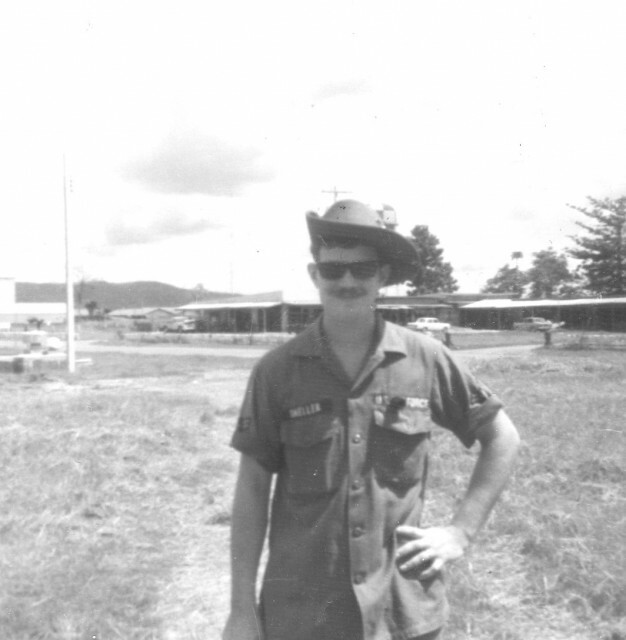 “I enlisted prior to graduation,” said Sneller, 67, Holts Summit, Mo. “They sent me to Lackland (AFB in Texas) and then on to jet engine school at Chanut (AFB in Illinois),” he added. During months of training, the young recruit learned to work on several types of jet engines; however, when he was assigned to McConnell AFB in Kansas, his specialty became the J-75 engine used on the F-105 Thuderdchief—a supersonic fighter-bomber. But Sneller would spend little more than a year at the base before orders came down for deployment to Thailand in May 1968, providing him an opportunity to work directly with the aircraft used in the air war in Vietnam. It was also during this period that Sneller—in addition learning of his father’s experiences—received his own indoctrination to the loss that can occur outside of a direct combat atmosphere, and on a very local level. In May 1969, having completed a year overseas, the jet engine mechanic was transferred to Little Rock (Ark.) AFB, an assignment that would only last two months because of a family emergency resulting in Sneller’s early release. He returned to Jefferson City and went to work for the state highway department and, in May 1970, married his fiancée, Sandy Meister. Aspiring to continue his service, Sneller enlisted in the Missouri National Guard. 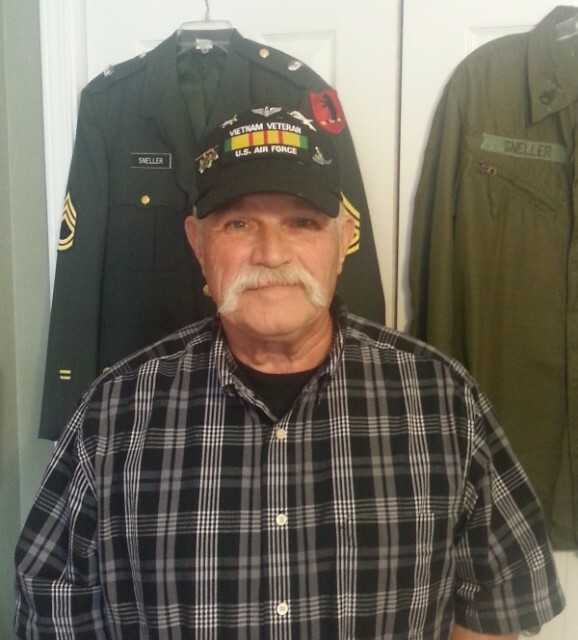 In the early 1970s, he became a full-time employee of the National Guard and spent several years working as a turbine mechanic on Army helicopters including the UH-1 “Huey” and OH-58 Kiowa. Retiring from the Guard in 1993, Sneller was hired by the state as as security guard at the same flight facility where he had worked as a turbine mechanic. In 1999, he continued his state service when he was hired by the Missouri Gaming Commission, where he remained unitil his retirement in 2009. Since then, he has been employed by Schulte’s IGA, but later had surgeries which have neccesitated his “permanent” retirement. The father of two children, Sneller now finds enjoyment in working around his home and spending time with this grandchildren. While sharing stories of his time in Thailand and his work with the National Guard, Sneller recalled an encounter with a fellow veteran several years ago that has solidified his desire to honor all veterans, regardless of any combat designations.